Special applications/finishes: Cover irrigation pipes, drains, etc. Comment: need my sidewalk replaced...haven't been done in 40 years. need a wall replaced that is holding up sidewalk. Comment: Sidewalk pavers resetting; 68 ft. long X 29 inches wide. Comment: Patio steps walk way and patio needs replaced. I need several estimates asap. Johnstown Concrete Contractors are rated 4.82 out of 5 based on 80 reviews of 12 pros. 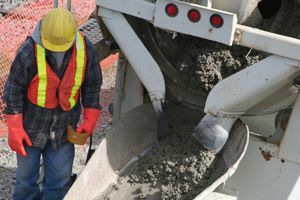 Not Looking for Concrete Contractors in Johnstown, PA?